Security tokens are making early stage investments possible for people like you and me. If you’re reading this, you probably remember the .com boom. Now don’t get us wrong — we at DESICO think the .com boom was great. Without it, we wouldn’t have Google, we wouldn’t have eBay, and we wouldn’t have Amazon; three companies that have fundamentally changed the way the world works. Yet despite all the good that the .com boom brought us, there were some unignorable problems with it. Investments were available only to a select few Venture Capitalists, meaning that ordinary folk were not given the chance to invest early in world-changing businesses. Those at the top continued to enjoy the best investments, and us? Well… we’re still here. And that’s why we believe security tokens are the future of crowdfunding. Gone are the days of false ICOs where “company” founders would set-up a company, and scam early-stage investors out of their hard-earned cash to buy a fancy car, then hang their investors out to dry thanks to a lack of investor protection. As a result of regulations being implemented to distinguish between a utility token and a security token, security tokens are the investment method of the future. And we’re excited that security tokens are here to stay. Before we go any further, let’s talk about the difference between a utility token and a security token: a security token gives its holder an investment in a company. It is an external, tradable asset issued by a startup using an ICO to raise funds, which — depending on its issuing company’s terms — may give its holder a share of the company’s future earnings or capital. Meanwhile, a utility token is not an investment of any sort. It gives its holder access to a product or service, and should be thought of purely as a coupon. Now, we know a lot of that sounds like the words of a boring banker, so let’s put things into real-world terms. If Google were an ICO in 1998, and Larry Page and Sergey Brin offered Google tokens as utility tokens and you bought them, then as a token holder, you would get advertising space on Google at a discounted rate. If they had offered Google tokens as security tokens, and you bought them, then you would now be a Google shareholder. To wrap it up then, a security token is an investment, and a utility token gives access to a product. Easy! Security tokens — what’s all the hype then? Primarily, security tokens allow anyone to make an early stage investment in a promising startup. And we mean ANYONE. This could be me, you, your 90 year-old grandmother, or Warren Buffett. Before the arrival of security tokens, governments and regulators made — purposely or not — investment opportunities accessible to only the mega rich as a result of criteria such as that of “accredited investor.” Thanks to the the way that security tokens work, you no longer need to go to a VC fund or have millions in the bank to invest in the next Google, the next Amazon, or the next eBay. If you’re on a modest budget, you find what you consider to be promising startup, and you want to make an early stage investment, then you can. In short, security tokens bring investment opportunities to the street. And in today’s digitized and automated world, we think that’s a good thing. Don’t you? Speaking of technology, we can’t forget to mention that security tokens work on blockchain-based (largely ethereum) smart-contracts. This means they can be pre-programmed with embedded shareholder rights, liquidity preference, and most importantly, investor protection mechanisms. What’s more, blockchain’s involvement in all of this means security tokens can be traded 24/7. Blockchain’s lack of a middle man means far quicker settlement times can be achieved, companies can be listed quicker on exchanges, and in some cases, immediate liquidity can be achieved for investors. Now, you’re probably wondering where DESICO fits in amongst all of this, but speaking about immediate liquidity is a great place to start! 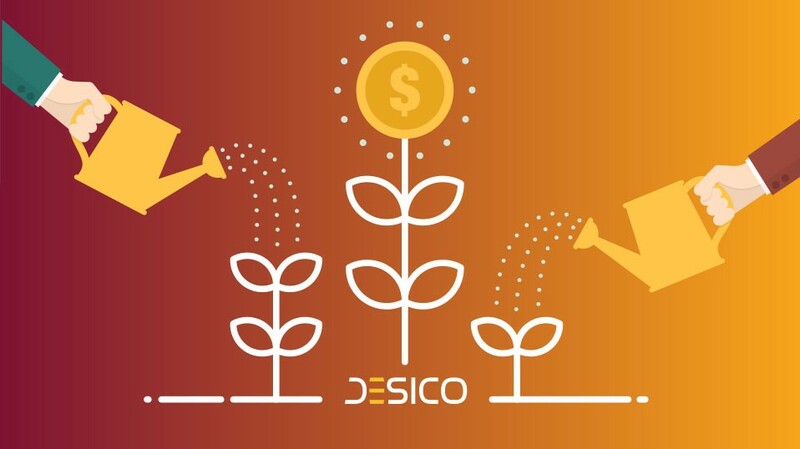 DESICO will operate on an ecosystem, which takes any promising startup on a journey from start-to-finish with its business operations. The business gets listed on our platform, and thanks to our security tokens exchange platform, allows retail investors and VCs to invest as much or as little as they like in a startup at its early stages. If you want to invest EUR 10 in the next Google or eBay you’re welcome! On the other hand, If you’re a VC with a spare EUR 10m handy, you’re equally as welcome to be part of our project. We hope that this article has given you an overview of why security tokens are awesome and are making early stage investments possible for everyone. Most importantly, we hope you understand the role that DESICO will play in this security-token based economy of the future. Don’t forget that if anything is unclear, get in touch with us on Telegram.